Avast ye Scallywags! All hands hoay as we scour the Downtown streets for booty and pieces of eight! Only seadogs of age as some might become three sheets to the wind or end up in Davy Jones’ locker. Watch for the ol’ Black jack to send updates as we batten down the hatches. Hey! All hands on deck (come one, come all) as we scour the Downtown street for treasure and Spanish coins. Only old pirates (21 and up) as some may become drunk or end up at the bottom of the sea (not really). 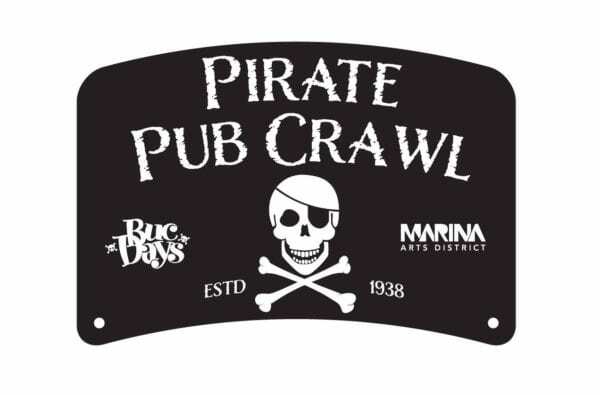 Watch for the pirate flag (or our Facebook event) for updates as we finalize the details (hatches…lol). There will be a costume contest so dress in your best pirate garb!